It's been nine years since their divorce, but Nick Lachey is still asked about his marriage to ex-wife, Jessica Simpson. When the 98 Degrees star — who's currently promoting the utterly delicious Peanut Butter Twix — sat down with 'In Touch' this week, we asked how feels about that fact. Nick and Jessica before their split in 2005. The pair famously starred on MTV's super successful reality show 'Newlyweds: Nick and Jessica' for three seasons, before they announced their separation in 2005. So what's the 'Vh1 Big Morning Buzz Live' host's advice to other couples entering the reality TV world? “You have to do your best to separate the two because you can’t control the way that things are edited, and you can’t control the way the public perceives the way things are edited,” the 41-year-old shares. 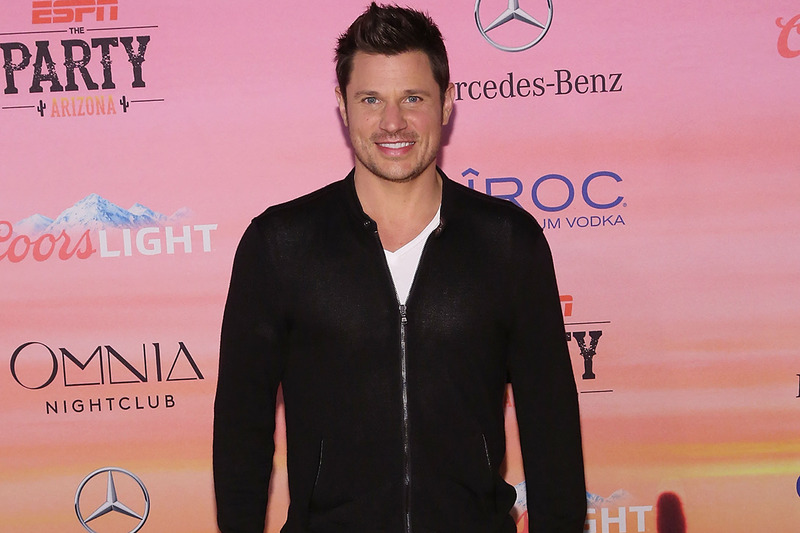 RELATED: Nick Lachey: "Becoming a Dad's the Best Thing I've Ever Done — We Definitely Want More!" These days, Nick is happily married to Vanessa Minnillo, with whom he has two adorable children, son Camden, 2, and newborn daughter Brooklyn. Nick, Vanessa, and Camden Lachey before welcoming Brooklyn. And their relationship is even stronger since becoming parents. "It makes it deeper," he tells 'In Touch.' "I mean you love somebody, that’s why you’re with them, but then when you have a child with somebody, it just adds a layer to the level of your love for that person."